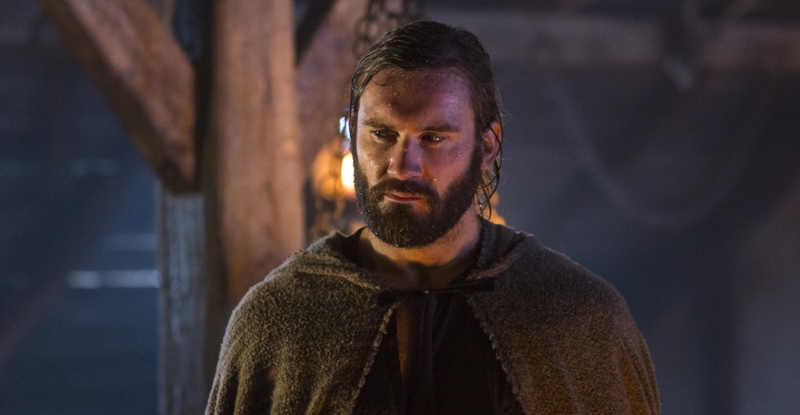 On Thursday, February 19, Vikings returns to the History Channel for a third season and it’s going to be a whopper. Until then, here’s a bit of info to help get you ready. While awaiting the land he’s been promised by the English, Ragnar (Travis Fimmel), the “farmer who made himself a king,” turns his warriors towards the supposedly impenetrable city of Paris. Ever a warmonger, the new King can’t resist sieging the city and proving the strength and legend of his Norsemen. 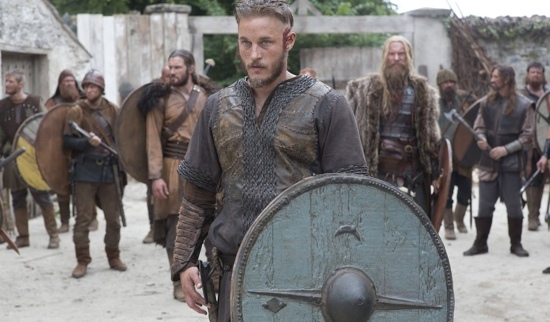 Family continues to play an important role for Ragnar, with his son Bjorn (Alexander Ludwig) searching for his own place, his brother Rollo (Clive Standen) firmly at his side, and his former wife Lagertha (Katheryn Winnick) now allied with him too. Four new characters will join History’s hit scripted drama this season. Harbard (Kevin Durand), whose arrival has been dreamt of by Queen Aslaug, Siggy, and Helga, will turn up suddenly and have a profound effect on the three women. Kalf (Ben Robson) is Lagertha’s ambitious and perhaps duplicitous second in command. Emperor Charles of France (Lothaire Bluteau) will face off with the Vikings though he views the battle as spiritual, and his daughter, Princess Gisla (Morgana Polanski), may possess more courage and resolve than even he. If you’re looking to catch up or just get a refresher, seasons one and two of Vikings are available on Amazon and Hulu. Check out the extended trailer for the new season after the break. 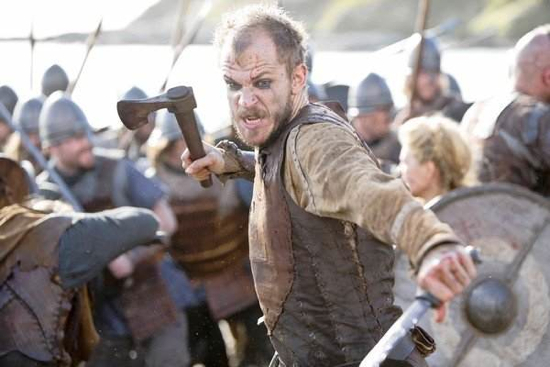 We’re really getting into History’s new scripted series Vikings. And really, what’s not to like? It’s gritty realism is only matched by the power of its great ensemble cast. Plus, hacking and slahing is always a fun way to pass the time. Well, watching it is at least. A brand new episode airs this Sunday and to get you prepared, we’ve got several previews for it to share with you today. In the episode, which is entitled ‘The Raid”, “a seer reads Earl Haraldson’s future and tells him that Ragnar Lothbrok searches for his death. The unanswerable question is whom do the gods favor more? Sounds good. Check out the new epside Sunday at 10/9C on History Channel. Take a look at the previews after the break. Looks like Hostory Channel is trying to capture a bit of that Game of Thrones and Spartacus magic that HBO and Starz have. In truth, we don’t mind because their upcoming show, Vikings, actually looks pretty good. The last clip is, well, you’ll just have to watch it. 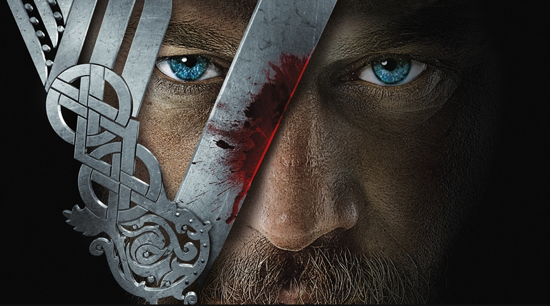 Vikings premieres 3.3.13 @ 10/9c on History Channel.